Lots of eye candy for you today! 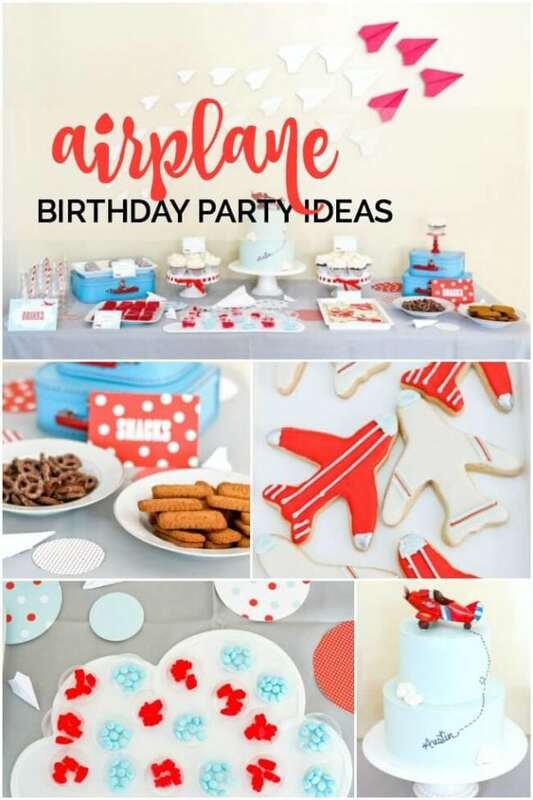 Birthday party and baby shower decorations, cakes, dessert tables and all sorts of detailed ideas might make it hard to decide on a theme, but go for it: take off with airplanes; twinkle with stars; go camping; visit the circus; eat all things ice cream; be wowed by superheroes and minions; watch out for modern monsters and modern party animals; tackle a sports theme; mind your manners at a little man bow tie event. Stick around and you’ll be inspired to party! 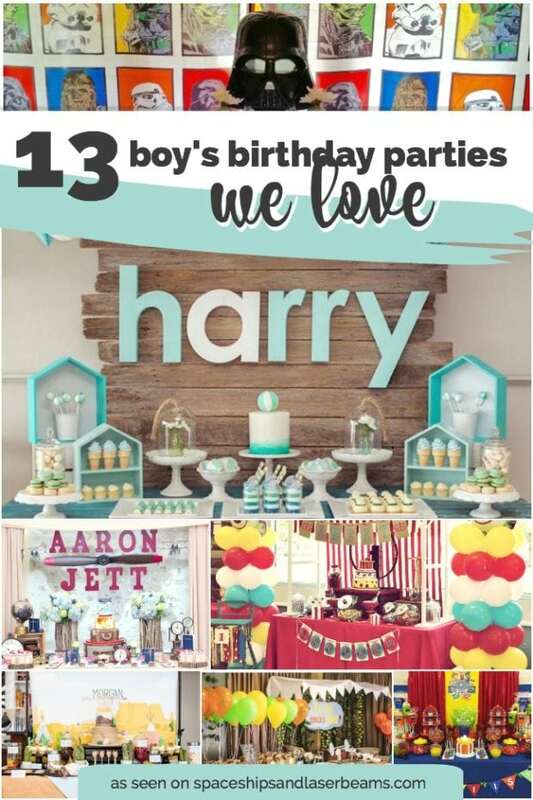 Don’t miss 13 Boy Parties that are full of great ideas and inspiration. 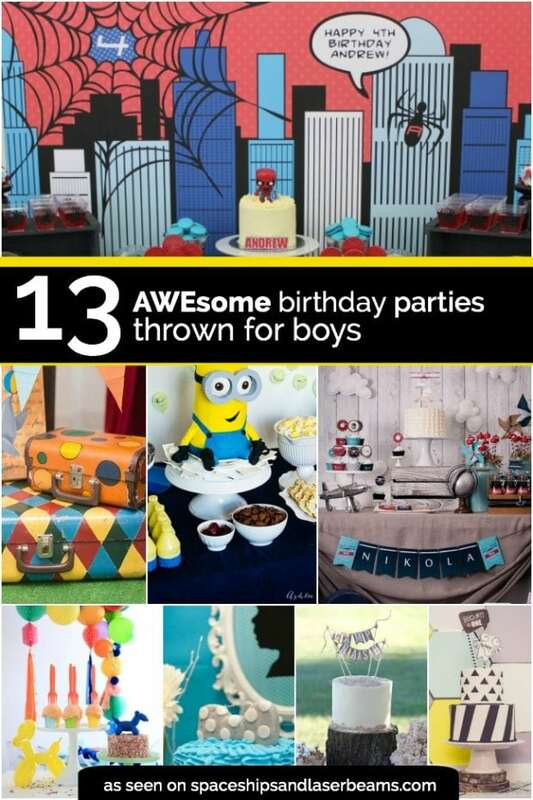 You’ll love these 13 Birthday Party Ideas for Boys. Here’s a handsome celebration! The magazine cover mock-up is especially cute and I love the sweet cockpit configured for the pint-sized pilot. The sugar cookies, particularly the suitcase shaped version, are awesome. Tania even shares a quick and easy piñata DIY. 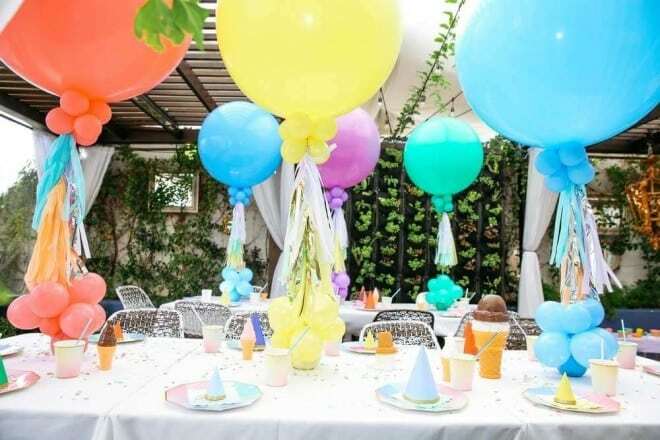 This party done in sherbet colors would delight a little guy who loves ice cream! The adorable handmade ice cream stand filled with themed desserts adds so much to this birthday brunch. There’s even a cone-shaped piñata! Of course you’ve seen the popular circus theme before, but I bet you’ve never seen the unique details this one features. Original art work, curlicue initials, and the flying trapeze artist are just the start. 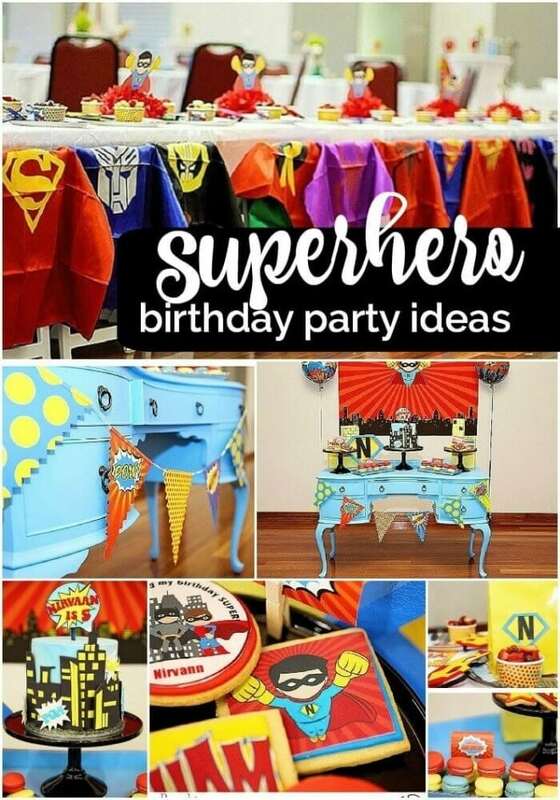 If your little guy wants to go all superhero, here are some ideas worth sticking with! 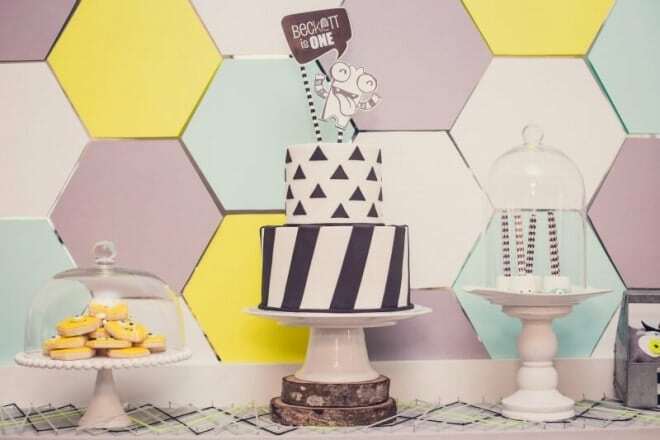 The energy that comes with bright colors permeates the dessert table full of treats to tantalize even the most reclusive. This charmer is good for grins! That black and white cake has root beer buttercream—sounds like a taste treat. Fun little monsters and google eyes are everywhere but what is unusual about this celebration is their cool use of hexagons. I especially love their “eye-scream truck”! 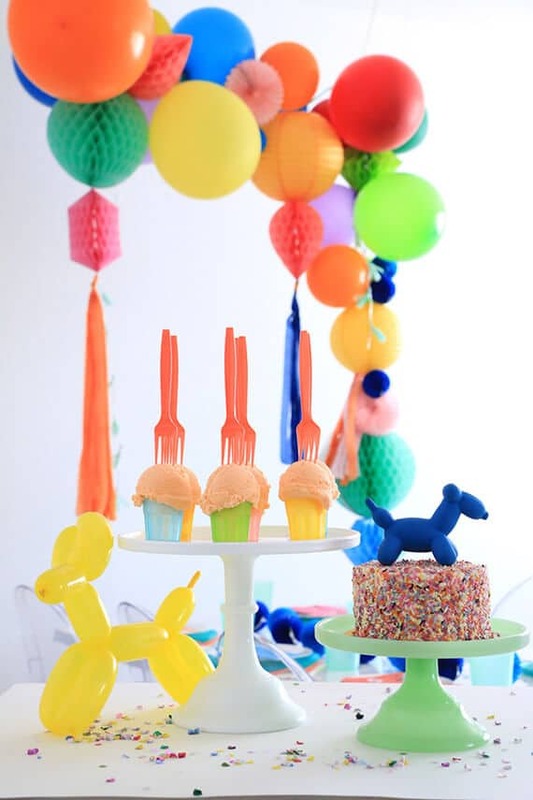 Bright colors and graphic styling combined with animal balloons become art! There’s a sweet invitation. Table décor and fun animal masks make this party pop. Mad about plaid and loving rustic touches like tree slabs, bark, and metal accents? 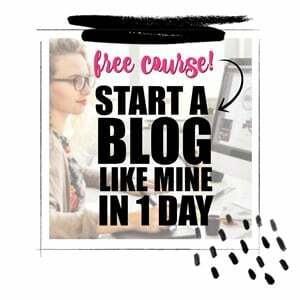 You’ll enjoy this party that features all that and more. Who doesn’t love minions? Ashlee makes fabulous cakes and she totally captured a minion. 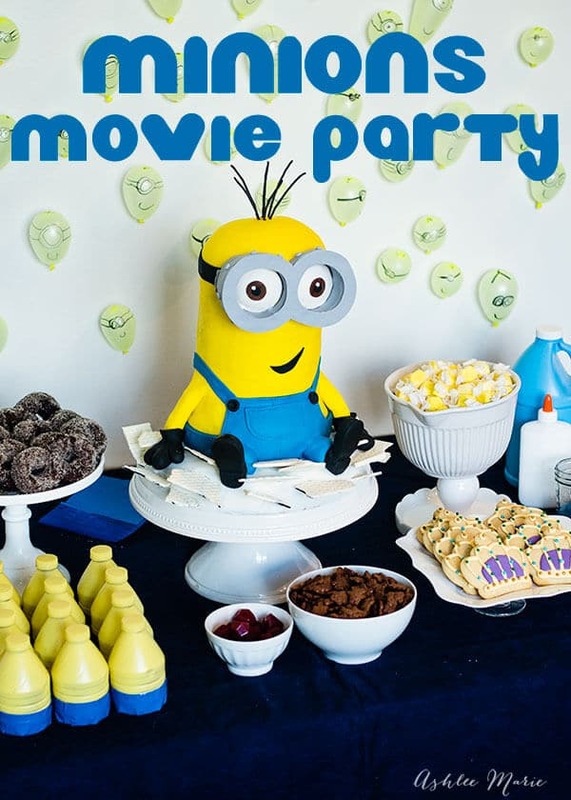 Her dessert choices are spot on for this movie theme and her mini-minion balloon collection is a great backdrop/activity idea. Sprinkle or shower, this celebration shines! 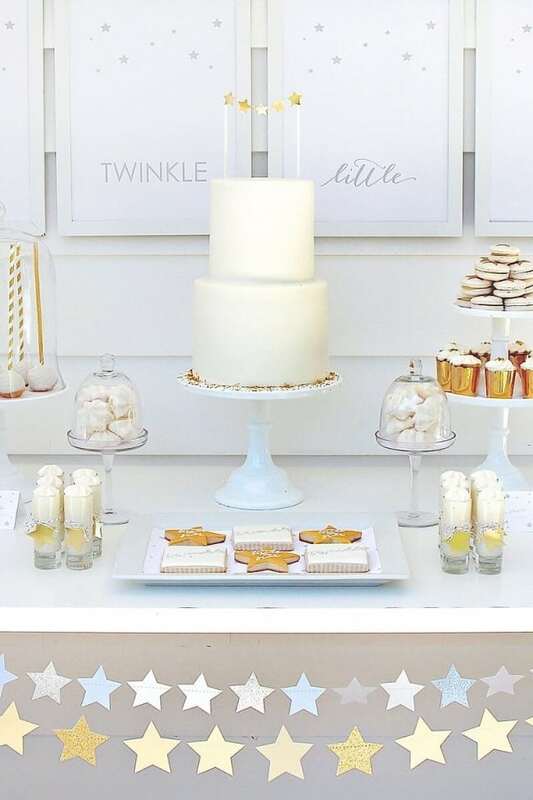 There is something so restful and refreshing about a party done in pristine white. This one featured lots of gold and silver sparkle. 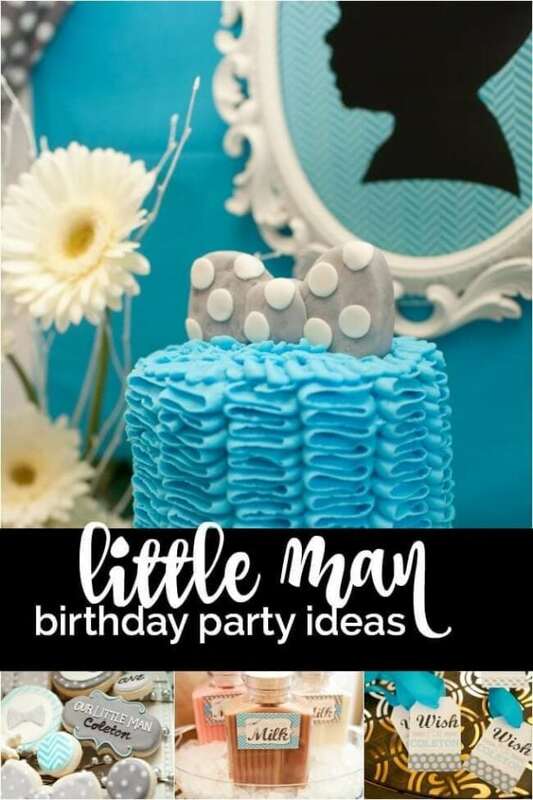 Mamas and gentlemen, start your party planning engines! 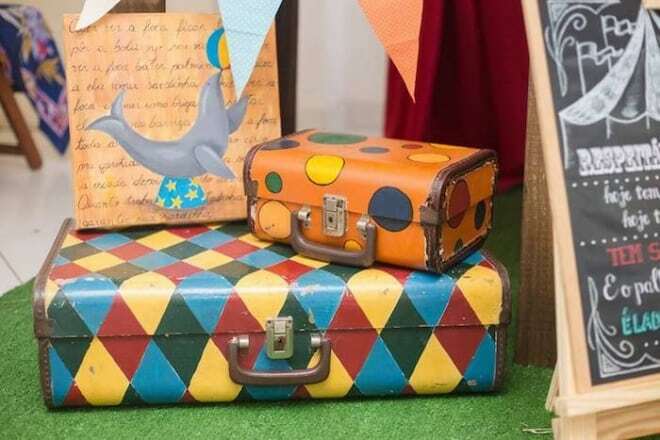 This event has enough stylish charm to suit Mom without crossing the too-frilly line. 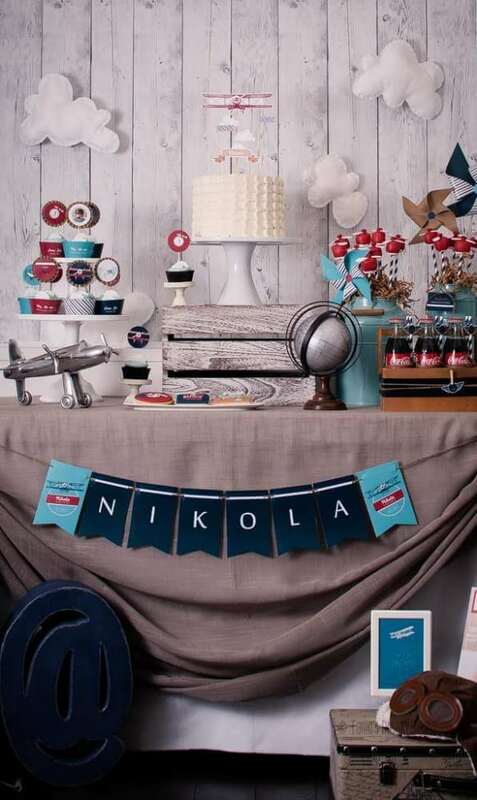 High flyin’ décor set the pace for this party to take off! Simple paper airplanes manage to look artsy when grouped like this. I love the cheery colors and perfect treats. 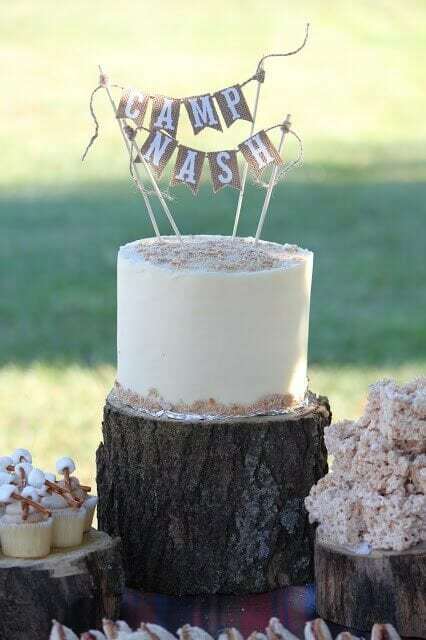 Super boys and superheroes go together as naturally as cake and ice cream! 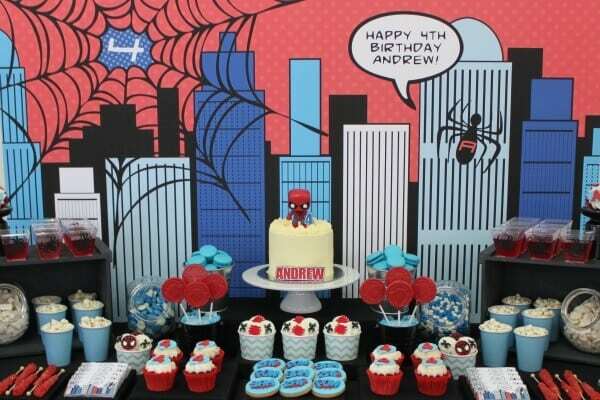 A very appealing dessert buffet with a colorful backdrop set the scene for lots of superhero training. 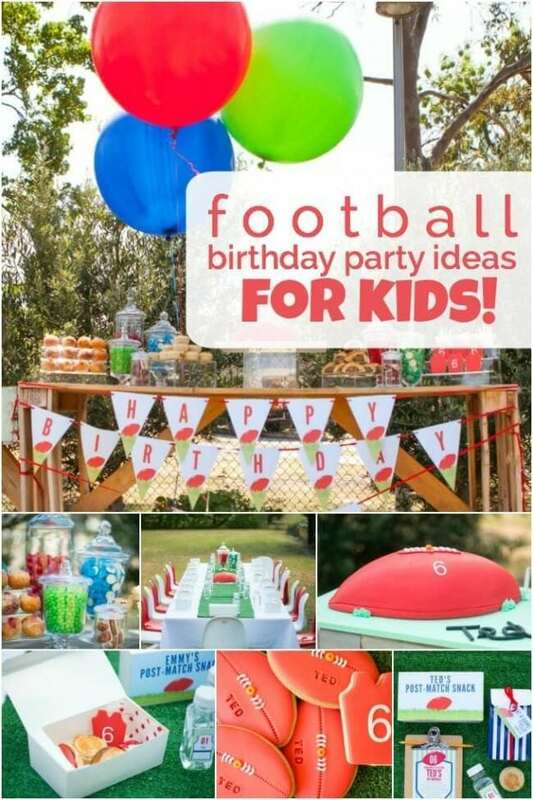 A guest list full of energy and wide open spaces are a perfect combo for a sport themed party. This event included a fun concession stand and lots of yummy treat ideas to spur the team on.